A recent outbreak of canine influenza virus (CIV) has been in the news recently. This highly contagious disease first appeared in 2004 in Florida, and subsequently has spread throughout North America. A second influenza strain surfaced in 2015 and infected over 1000 dogs in the Chicago, Illinois area. This strain, Canine Influenza Virus H3N2, has now spread to at least 34 states and is the cause of around 500 known cases in California and Nevada. On February 12 one dog in Grants Pass, Oregon was diagnosed with the H3N2 strain. Much like human influenza, the canine disease causes respiratory disease ranging from mild or inapparent infection to severe and even fatal pneumonia. The case fatality rate is believed to be about 3% to 5%. To date there are no known cases of transmission between dogs and people. Vaccination against both strains of CIV is available. Initial vaccination requires a two shot series, given three weeks apart, and may be boosted with a single shot annually thereafter. Immunity does not fully develop until after the second shot in the initial series is administered, thus beginning the vaccination process at least one month prior to potential exposure is recommended. The Companion Therapy Laser™ system provides a non-invasive modality that initiates numerous physiological and biological processes. In summary, it stimulates the animal to heal itself. Laser therapy relieves pain while promoting advanced healing techniques on everything from lacerations to chronic joint pain. For more information click on the Companion Laser Therapy tab above. We Have Feline Friendly Boarding!! Our suites feature a catwalk up to a window so your feline friend can lay in the sun and relax. These suites are in a completely separate building from any dogs, so they are quiet and peaceful for your cat. Each suite features a window for bird watching outside, a scratching post, cozy little house, toys, and litter box. In addition to cat boarding we also offer addition spa care for your kitty. We offer nail trims, baths, and lion cut trims. If your cat has a medical condition we have licensed Veterinary on staff to treat your cat if needed. Whether you are traveling for business or pleasure, renovating or moving into a new home, or simply want to treat your cat to a little vacation while you have guest over your cat will experience the best care at our cat exclusive boarding resort. Call today to make reservations for your cat or cat's. Please give us a call at (541) 447-2179 if you have any questions. Now all HomeAgain Microchips are $40.00 Including the first year of the optional enrollment fee Please call to make your appointment today. 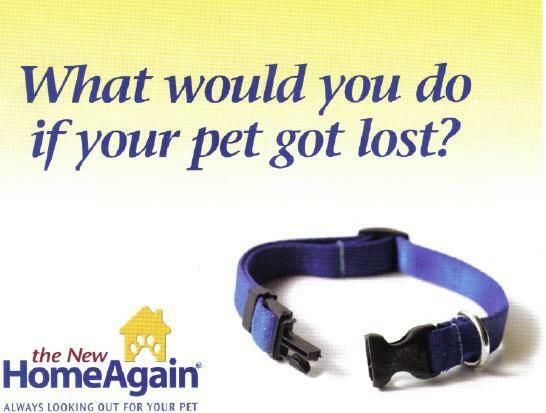 Bring your pet in today, to join our free weight loss program. 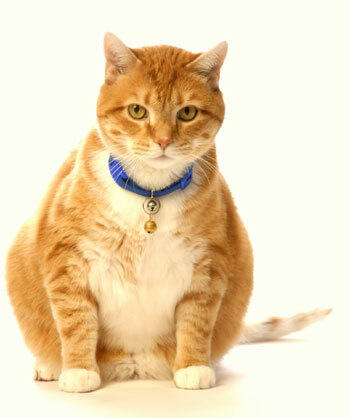 We will weigh and measure your pet to set a goal weight. Then you will have no charge weight loss consult every month with our one of our weight loss specialist. The most wonderful aspect of being a Veterinarian is that no day is ever the same. Each workday I experience different clients, patients, and situations. Along with working alongside a dedicated and loyal staff, this variety is why I look forward to going to work. The staff and I will always strive to provide superior patient care by utilizing advanced techniques and technology to keep our companions happy and healthy. Dr. John Carr has practiced veterinary medicine since graduation in 1980 from Murdoch University in Western Australia. His professional experience includes a residency in Equine Reproduction at the University of California at Davis Veterinary Medical Teaching Hospital, and work in equine exclusive, small animal, and mixed animal practice in both the United States and Australia. Dr. Carr’s personal interests include hiking, hunting and fishing, and tennis. Much of his time is spent pottering around his small ranch with wife Cathleen, daughters Caitlin and Marie, and their menagerie of pets and farm animals. Dr. Sean Panella grew up in Knoxville, TN in the foothills of the Smoky Mountains. He is a graduate of the University of Tennessee where he obtained his bachelor's degree in Animal Science and Doctorate degree in veterinary medicine. After working with local veterinarians and raising livestock of his own, he eventually came to the conclusion that veterinary medicine was the perfect fit for. His professional interests include multiple aspects of both small and large animal veterinary medicine, with particular interests in large animal reproduction and small animal surgery. His personal interests outside of veterinary medicine include spending time with his family and friends as well as getting outside. Whether it be snowboarding, skateboarding, surfing, hiking or fishing he likes any excuse to go outdoors! Steve graduated from Oregon State University with a Bachelor Degree in Sociology. He pursued his degree after realizing he had over 10 years of management experience and over 20 years of life experience but lacked the education to further his pursuit of a professional job. His overall goal in life is to help anyone he comes into contact with whether that is an employee or just someone he sees in a store or on the street. He has served his local community for the past nine years as a Reserve Deputy Sheriff. Steve has a wife and four young children whom he spends every moment he can with. I joined Prineville Veterinary Clinic from my home state of Illinois. I lived in the Beaverton area for a number of years. I enjoy the outdoors which includes hiking, kayaking and scuba diving. I enjoy the beautiful scenery that surrounds Prineville. I have two sons and a daughter-in-law who are close by. I have two Chihuahua’s that keep me really busy. I was born and raised in Prineville, where animals have always found a way to be a large part of my lifestyle. I enjoy spending time with my husband and family. We have two great dogs, one witty paint horse, and a kitten that will keep you laughing. A few of my favorite activities are riding horses and snowmobiling. I was blessed with the opportunity to grow up within Prineville Veterinary Clinic. I value the leading edge technology and medicine we provide. We strive to continue learning and growing with veterinary medicine; while still maintaining a small town veterinarian atmosphere. I was raised in Redmond, Oregon where I still live today. I am married with two grown sons and I love to spend time with my family, camping, hunting and doing wood working projects. I have always loved animals and share my home with my dog Nakita, a chinchilla, a bearded dragon, parakeets and a few fish tanks. I decided to go to college after I raised my children and graduated in June of 2016 from the Veterinary Technician program. I did a three week internship at Prineville Veterinary Clinic and fell in love with the atmosphere and wonderful staff. They made me feel like I was part of the family and I was very excited when they asked me to become part of their amazing team! I was born and raised in Redmond, Oregon. I graduated from the COCC Veterinary Technician program in June of 2018. I have always brought my pets to Prineville Veterinary Clinic and I couldn't be happier to work here and be a part of such a great clinic. On my free time you can find me hanging out with my family and corgis or competing on my horses at a local barrel race and rodeo. I grew up on a commercial cattle operation in Eastern Oregon which lead to animals always being a huge part of my life. I received a Bachelor’s degree in Animal Science from North Dakota State University in 2016 and became a resident of Prineville shortly after. My husband and I have two sweet pups pictured above, named Remi and Millie, a horse named Duke and a mule named Zoey. When I am not at work, I enjoy spending time helping out on my family’s ranch, riding horses, hiking and fishing. I was born and raised in the rocky mountains of Colorado, but recently transplanted to Prineville, Oregon. Animals have always found a way into my heart, being highly involved in raising 4-H show pigs and participating in western pleasure competitions. I was raised along side my five sisters, our yellow lab Wren, our Rhodesian Ridgeback Piper, and my horses Aspen and Drummer. When you see me in the office you can call me Cass! I am looking forward to meeting all of you and furthering my education in the Veterinary world. I was born in the Philippines, where I operated a small business in the market before immigrating to America in 2008. My husband Charlie and I have been married since 2006. I enjoy working for the benefit of animals. "I will never be able to thank all of you for what you have done for Teddy and I. I was so scared he was not going to make it through out all of his problems with his skin. I knew he would be all I would have some day to get me through these lonely times. A very special thank you to Dr. Schultz you are a miracle Doctor. So very grateful for your being there when we needed you. The phone calls you made checking on Teddy meant so very much. Teddy is doing great. Thanks so very much to all of you."